You only have to look at me to know how much I love bolas de berlim. I have been testing the berliners of Portugal since my arrival, so that’s now thousands of them I have put away, so I surely know a good one, especially as I have also tried berliners of Berlin, as some kind of starting point, and can say with some authority that they are crap. 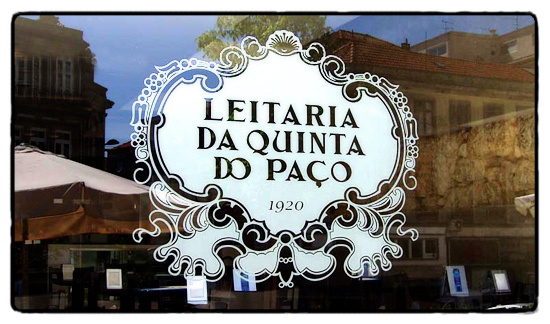 The Leitaria da Quinta do Paço can be found at Praça de Guilherme Gomes, (bit of a mouthful… it’s in ‘Vitória’ up towards the Igreja do Carmo) in Porto. It has recently had a groovy makeover that reflects its own history (as a milk factory) and its commitment to quality. I love this about modern Portugal: more and more it recognises itself in context of history and the wider world. This place says; we were a little milk factory for a hundred years which treated its workers well (check out the photo of the 1959 staff excursion) and took pride in the quality of our milk (there’s a shot of their display at an Expo). Now we are a café with charming old photos on our walls. We have a humble history, we believe in quality, we are proud. 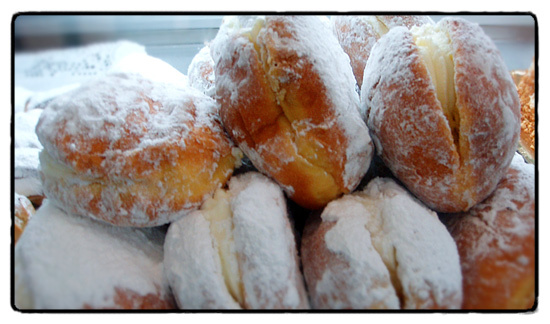 And they have the best bolas de berlim in Portugal. – So if they really are the best, what do they taste like? I see you prefer them com creme. I like mine sem creme (unfortunately it is getting more and more difficult to find them, in this nouveau riche age). And of those, the best were the ones that Sra. Maria carried in her red tin box up and down the beaches of the Linha (do Estoril). I’m very jealous of you Porties who say “we ate them on the beach as a child”, that just sounds too good to be true. I’m off to Nazaré for some “research”. Anywhere else you think they still sell them on the beach???? 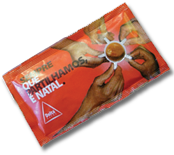 Unless ASAE has struck with its unconstitutional powers, I would expect them to me sold all over Linha do Estoril, Algarve, etc. One thing that still exists on the beach (last I checked, at least), but missing the most exciting feature, the “roulette” sort of thing, is barquilhos. Have you ever tasted them? They are called “bolacha americana” in some parts, and they were/are quite nice. But the roulette, oh the roulette…!!! Barquilhos came in big cylinder red boxes (still do), that used to have a spinning wheel on top: you would make it spin, and for the same price you could get 1, 2, 3, up to 5 (FIVE!) barquilhos!!! The fact that I was always told by adults that the roulette was rigged and never gave more than 2 or 3 never damped my hopes. 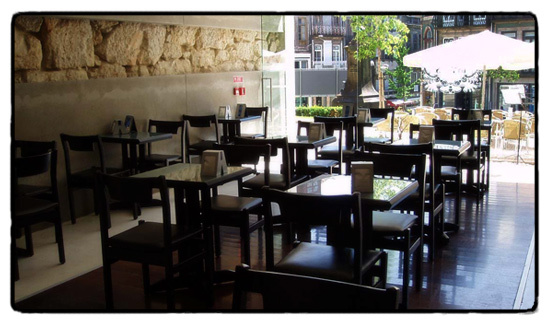 Speaking of which, I bet you have never seen “furos” in a cafe, either: a little triangular box where you would punch a hole with a wooden stick, to make a little couloured ball fall into a glass pit. Depending on the coulour, you would get a tiny, middle-sized or HUGE chocolate (the golden ball, of course). Once I got the silver ball! Ah, gambling and sweets, life don’t get no better! 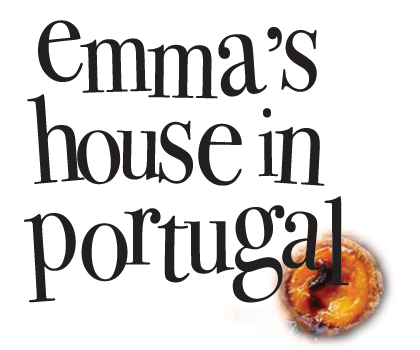 Come to think of it, if you asked me what is “home” for a Portuguese abroad, I would probably answer “um pastel de nata e uma bica” (or cimbalino, of course). 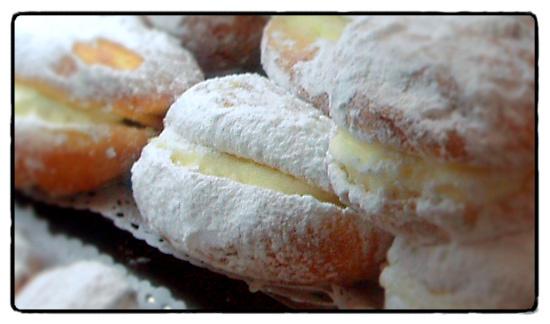 But, obviously, a bola de berlim has its very special meaning, too, it seems to say “chilhdood summers”. Not to mention the very special emotional relationship that the Portuguese have with The Beach (everybody has ONE). I have just discovered that my local makes a superior bolo de arroz (i thought they all came from the same national factory – because they all look identical everywhere you go, but no no no). They might be simple little cup-cakey things but when they are good, they are very… and washed down with a galão, a very nice hunger breaker indeed. 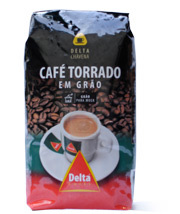 I totally loved these.I trekked all over Portugal to try a good one.I can’t seem to find them here in Australia.We get good a Pastel de Nata in Petersham Sydney,but not a bola so disappointed. I have to visit this place, even if it’s just as a refuge from the in-laws when they are over! Thanks Em. Pingback : a 10 day tour of portugal - a blog about buying a ruin and building a house in Portugal plus food, architecture, design, travel and animals. Love your country, glad that you like mine! rafael bordalo pinheiro swine flu. gripe A. H1N1. etc, etc.